For the display of the time in the browser, the format can be defined using the pattern from the Java SimpleDateFormats. You can see a preview of the formatted time here. 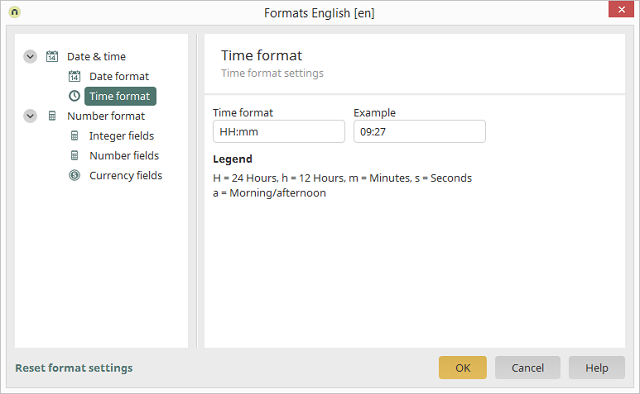 Provides an explanation of the abbreviations used in the "Time format" field. Resets all format settings to the default settings of the selected location.